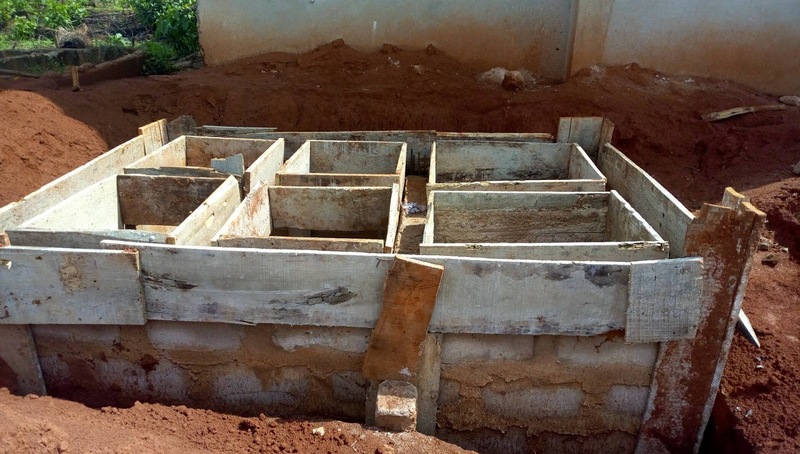 Now lets talk a little about soakaways or septic tanks but this time, i am going to talk more on what it would cost or lets just say the cost estimate to construct a good soakaway for your building. On this post, you will get an insight on the materials required to build a specified size of soakaway as well as the quantity of materials necessary for this construction. 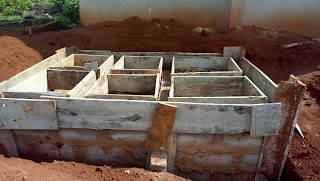 I recently wrote a post explaining what a septic tank is, you can find that post here, but on this post, i am not going to bore you with some details, i will just hit the nail on the head while impregnating you with a lot of new ideas on construction of soakaway. Do not forget that while giving cost estimate for construction of a soakaway or septic tanks, some contractors would carelessly bring such an estimate that leaves your heart running away from your body. Also try as much as possible to know the difference between a septic tank and a soakaway as this is very very important. Formwork is necessary for the top of the soakaway which would serve as a platform for parking of cars without collapsing. Cost of labour for formwork would be around 12,000 since the same carpenter would remove the formworks after the casting is set. Now the Next Phase would be Reinforcements. This brings rods into the system which would carry the loads and ensure the bearing capacity of the soakaway tank is not exceeded when a car or any other load rests on it. Now the last phase of construction would be Casting. Labour for all casting jobs would amount to N25,000 since the number of bricklayers could climb to 3. Now If You add All these Cost of labour as well as the cost of buying these materials, that would be the cost Estimate For The construction Of a Septic Tank with the dimensions described above. You can use the contact page to reach me if you need my services on your site. Please Note: I Did not place an amount for any of the materials because the price of items fluctuates and will never be the same as far as Nigeria is concerned. Therefore, ensure you make a very deep market survey in order to know the price of items before paying for them. If possible, get prices from 2 - 4 shops before you conclude on where to get the materials at a reduced price.